Why do people in the 21st century have to work so much harder to find a spouse? Why can’t we just marry the guy or girl who lives down the street? In his book, Modern Romance, comedian Aziz Ansari describes texting a woman named Tanya and asking her for a date. A few minutes later, the software shows she read it. Then he sees the little dots that indicate she’s typing a reply. Then the dots vanish. Several hours pass and no word. A day goes by—still nothing. At this point, Ansari is beside himself. “What has happened?I I know she had my words in her hand!! Did Tanya’s phone fall into a river/trash compactor/volcano?? Oh no, Tanya has died, and I’m selfishly worried about our date. I’m a bad person,” he writes in his delightful and very informative guide to contemporary dating. Of course, Tanya didn’t die and she wasn’t “just busy”; her Facebook and Instagram accounts showed she was alive and posting. Technology has provided great new ways for single people to meet and date each other, but it has come at a psychological price. All that information can seriously mess you up. It makes silences more aggressive and gives rejections an extra sting—as the heartbroken now routinely endure photographic evidence of their crushes enjoying full lives without them. In this precarious emotional environment, it’s easy to become nostalgic for a simpler time—the days before smartphones or even computers, when men wore ties and arrived at doorsteps with bouquets of flowers, and couples held hands and sipped lemonade on front porches. 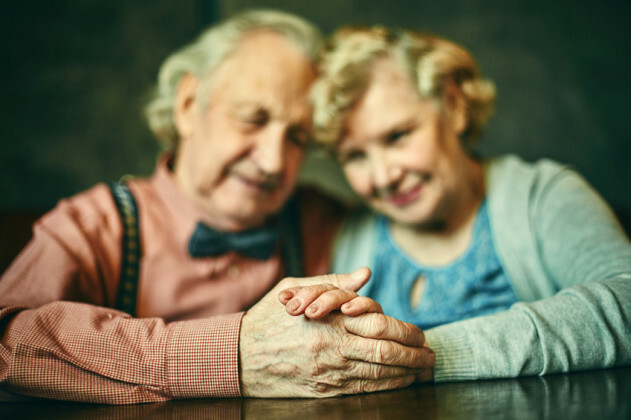 Ansari wondered if things were better in his grandparents’ day, so he and his co-author, sociologist Eric Klinenberg, visited a Manhattan retirement community and asked the residents how they met their husbands and wives. The authors discovered that 14 of the 36 seniors they interviewed had married someone within walking distance of their childhood home. They weren’t anomalies—a University of Pennsylvania study, they later learned, found that in 1932 one-third of couples who married in Philadelphia that year lived within a five-block radius of each other before tying the knot; one in eight had actually lived in the same building. So what’s the deal? Why do people in the 21st century have to work so much harder to find a spouse? Why can’t we just marry the guy or girl who lives down the street? The younger married couples they queried were far more poetic. They wrote about how their partners make them the best versions of themselves, how they make them laugh and feel beautiful. “He is stunning and I’m amazed by him every single day. He’s made me a better person for having known and loved him,” wrote one woman. In other words, we have different standards today. We want to fall deeply in love. We want to find a soulmate. And that simply takes more time and effort than picking someone because they’re reasonably pleasant or employed. While most of the older folks the authors spoke with were satisfied with their marriages, the women in particular didn’t romanticize the old methods of mate selection and wanted their daughters and granddaughters to take a different approach. “They wanted the young women they knew to date a lot of men and experience different relationships before they took a husband,” the authors wrote. Do contemporary dating standards and methods sometimes make people nuts? Sure. But for most younger people, the potential reward—falling deeply in love—is worth the heartbreak and hassle. It’s nice to know many of their elders agree. This originally appeared on eHarmony. Republished here with permission.